Patton promoted to Assistant Vice President, Regional Manager . . . The Farmers National Bank of Emlenton announced that Scott Patton has been appointed Regional Manager of the Bank’s western region. The Farmers National Bank of Emlenton announced that Renee K. Foust has joined the organization as Branch Manager of the Bank’s future Cranberry Township office, in Butler County. 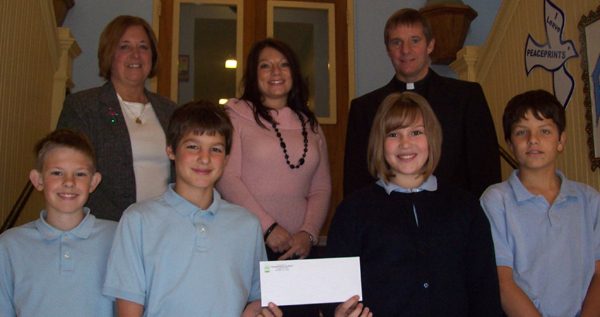 The new Cranberry Township branch is expected to open in mid-2012. Roxbury joins Farmers as Senior Vice President, Chief Operating Officer . . . The Farmers National Bank of Emlenton announced that Jennifer A. Roxbury has joined the Bank as Senior Vice President and Chief Operating Officer. Hulings Promoted to Vice President and Operations Manager . . . The Farmers National Bank of Emlenton announced that Aubery L. Hulings has been promoted to Vice President and Operations Manager. The Farmers National Bank of Emlenton announces that it recently received a five-star “Superior” rating from BauerFinancial, Inc., an independent bank and credit union research firm. This rating is based on the Bank’s solid capital position, profitability, sound asset quality, and balance sheet strength. 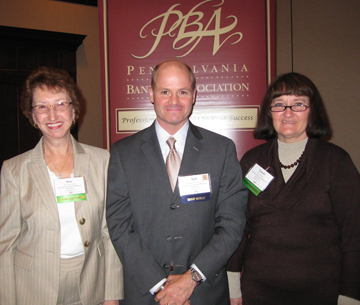 EMLENTON, Pennsylvania – Sue Solida and Linda Kerr of The Farmers National Bank of Emlenton, were recognized for serving over 40 years in the banking industry at the Pennsylvania Bankers Association (PBA) Group 8 meeting held on April 20, 2011, at the Marriott Pittsburgh North at Cranberry Woods. The 40-Year Club consists of bankers completing 40 or more years of service in Pennsylvania’s banking industry and who are regular members of the PBA. King promoted to Assistant Vice President, Manager of Human Resources . . .
EMLENTON, Pennsylvania – The Farmers National Bank of Emlenton announced that Heather L. King has been promoted to Assistant Vice President, Manager of Human Resources, with the Bank. Carroll promoted to Commercial Lender . . .
EMLENTON, Pennsylvania, January 18, 2011– The Farmers National Bank of Emlenton announced that Shirley J. Carroll has been promoted to Commercial Lender with the Bank. Hartle joins Bank as Branch Manager . . .
EMLENTON, Pennsylvania, January 13, 2011 – The Farmers National Bank of Emlenton announced that Michelle A. Hartle has joined the Bank as Branch Manager of the Bank’s Cranberry office.